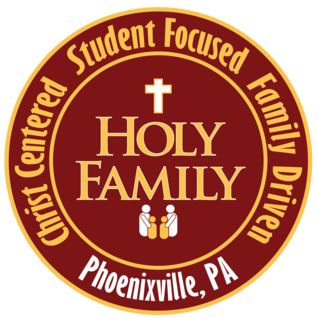 Holy Family School, in cooperation with the Great Valley School District, offers students and staff participation in the National School Lunch Program. Families may pay via Smart Tuition, check, and/or cash. It is imperative that menus be submitted on or before the posted due date. Late menus will not be accepted. It is preferred that one payment is sent for an entire family. If your child would like a second helping, the items offered for a second order are pizza and chicken nuggets, at an additional cost of $1.00. For example, you order an extra slice of pizza your total is $4.75 ($3.75 for the lunch and $1.00 for the extra slice). Please see the menu for this information. Please understand that the food is ordered in advance and is brought to us regardless of whether or not a child is present on a particular day, so we cannot offer credits for absences. However, if your child is absent 2 or more days in a row, we will credit you for those missed meals. You are responsible for keeping track of those days and informing the cafeteria manager of the missed meals. If your child is lactose intolerant or has a dairy allergy, we can get soy milk if you provide a note from your child&apos;s doctor. To apply for free and reduced meals you may request a form from the office or go onto www.compass.state.pa.us and apply yourself. Milk must be included with all meals. Juice counts as 1 serving of fruit, but children do not have to take it.